Community Links has just published a report into the root causes of youth violence. Community Conversations: Unearthing community-led ideas for tackling youth violence draws its findings from eight community conversations with over 200 people in Newham over a third of whom were young people aged 25 years or younger. 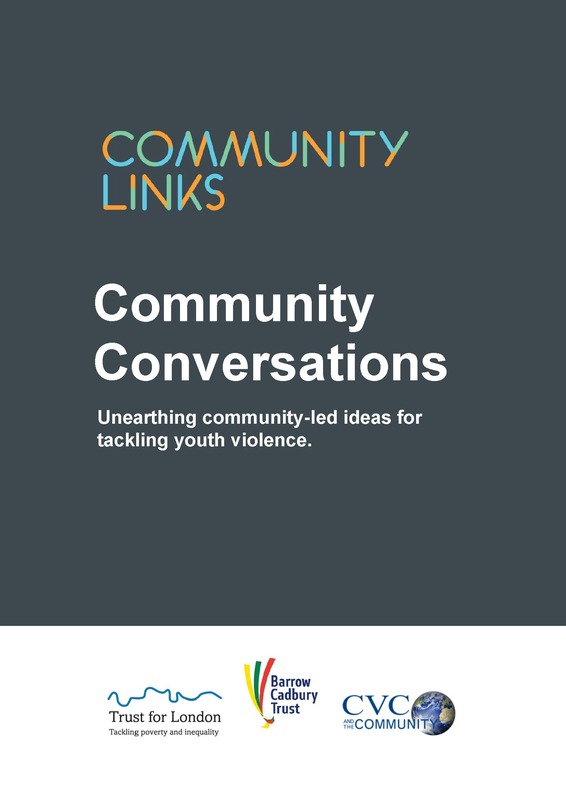 Community Links argues that the findings of their research, based on the voices of experts by experience, can generate a systemic shift in approaches to youth violence. They argue that youth violence cannot be treated solely as an issue of criminality and enforcement. Instead, a public health response to this issue must aim to take an Early Action approach, involve the whole community, and work from the ground up. The report found that violence is not the exception in the lives of many young people, but something that permeates the social relations and interactions between young people, their families, the police, and the communities around them. It argues that, whilst there must always be individual accountability for premeditated violent crimes, it is vital that policymakers and service providers take into account the wider structural and systemic factors that can, at times, make violence appear to be the only way to survive for young people.